Spotify is experimenting with a new form of sponsored content that’s already rubbing some users the wrong way. Sponsored Songs, as it’s called, is a new ad unit currently in testing that allows labels to promote singles on Spotify’s free tier. As the streaming music service explained to TechCrunch, Sponsored Songs appear on playlists you follow as instantly playable and savable tracks. They aren’t as obtrusive as traditional ads and can be targeted to “fit in” with other tracks on a given playlist. The feature is opt-out in nature meaning, if you’re one of the “lucky” ones that Spotify is testing on, you’ll have to go into Settings -> Display Options on your desktop (or Settings-> Sponsored content on mobile) to disable it if it bothers you. The publication said it isn’t sure how it is charging labels – per impression, action, listen or otherwise – but with Spotify reportedly eyeballing an initial public offering perhaps by year’s end, you can be sure that the streaming music service is looking to generate revenue from the feature. 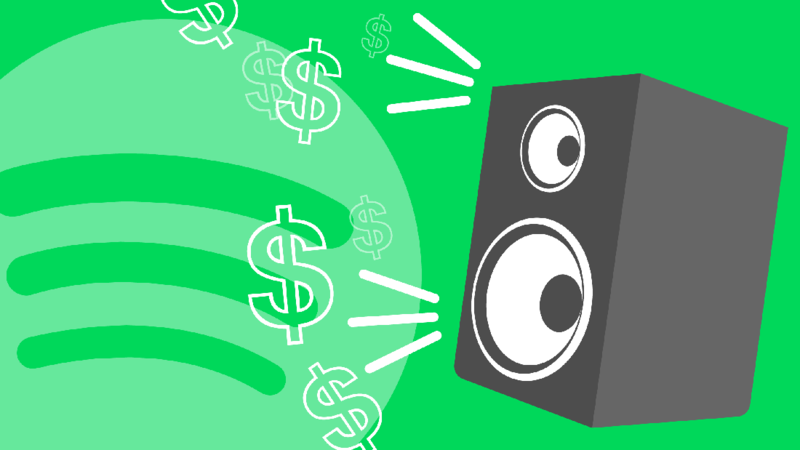 If Sponsored Songs catch on and get implemented as a standard feature, they could be a serious boon to labels and artists. If a listener adds a new song to their regular rotation, for example, it could help them discover a new artist, listen to more of their music and maybe even result in concert ticket and merchandise sales.